If you are suffering from fibromyalgia or familiar with the disease, then you know that it is one of the most common chronic conditions in the country. Based on data provided by the American College of Rheumatology, the incidence of fibromyalgia sufferers in the United States is 1:50. Fibromyalgia can be difficult to diagnose. It persists for longer periods and is considered a chronic disease. The main problem lies with the pain it causes in different parts or even the entire body. Tender areas make it impossible to move freely and do the usual physical activities. It depends on the patient whether he prefers a traditional treatment or an alternative one. If the patient chooses to follow traditional treatment, he will be subjected to regular anti-inflammatory medications, muscle relaxants as well as sleep medications. However, if you prefer alternative medicine, then chiropractic care could be an answer. One of chiropractic’s reasoning is that aligning the spine allows the body to heal and restore health on its own. 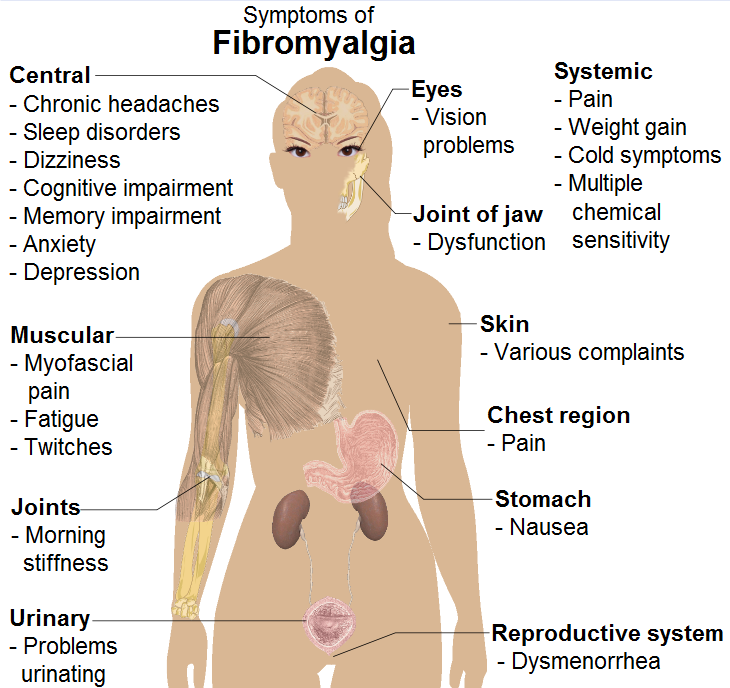 Below is a list of benefits chiropractic care can contribute to fibromyalgia patients. Fibromyalgia causes a lot of pain and most of the time; this is the primary reason why they seek help. Fibromyalgia causes trigger points in the body commonly seen in the head and neck area, shoulders, hips and buttocks, elbows and knees. Chiropractic care can help relieve these tender areas and combined with deep tissue massage, can alleviate pain effectively. Pain caused by fibromyalgia often causes stress, anxiety and difficulty in sleeping. As a consequence of pain alleviation, chiropractic care can relieve stress and anxiety and allows a person to sleep soundly at night. Another symptom associated with fibromyalgia is stiffness in joints. The pain also limits the range of motion in joints. Chiropractic care can significantly improve the range of motion of joints. Of course, with pain alleviation comes freedom of movement. Unlike supplements and other medications, chiropractic care does not produce adverse effects when utilized together with medications. 5. Helps patient cope with their illness. Fibromyalgia is a chronic condition. Taking medications can take a toll to the body especially to the liver. Chiropractic care can help the patient take control of his condition better. Chiropractic care is geared towards keeping the body healthy and this form of alternative medicine employs various manipulations to help the body heal by itself. Chiropractic employs holistic approaches. It can be a very valuable tool in maintaining mobility, minimizing pain and managing stress in fibromyalgia patients.